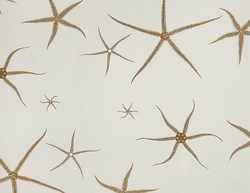 This is one of our best selling Curtain Panels. 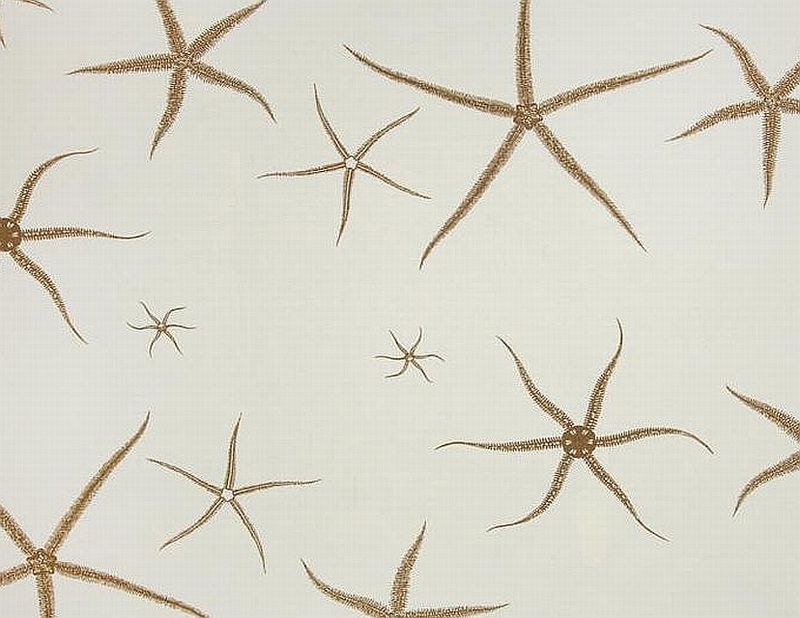 A beautiful Designer Quality White textured fabric with Tan Starfish. Each curtain panel measures 54x84 and has a 3 inch rod pocket opening at the top. This is also available in shower curtains, Bedding, pillows and more. 100% cotton.